Indonesia is the 4th most populous country in the world and 140 Million people in the world speak Bahasa Indonesia. 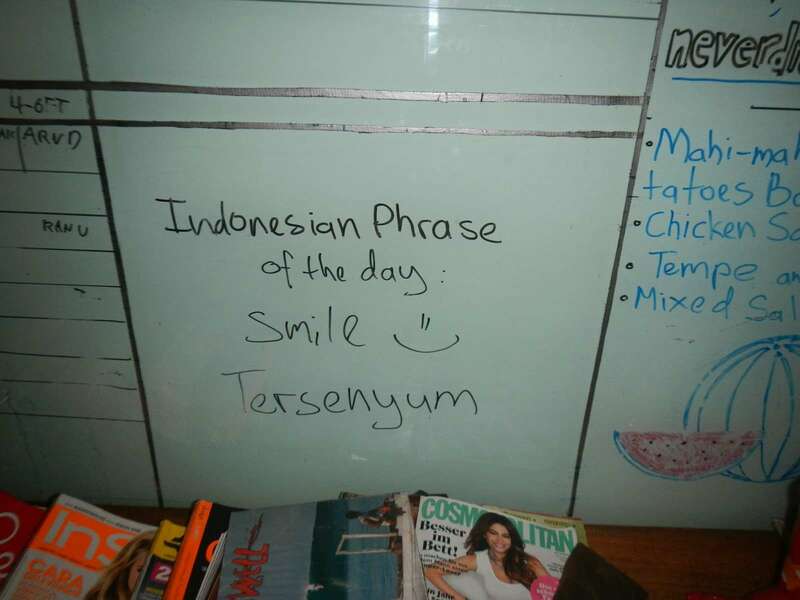 Even though many people in Bali are comfortable with basic English, the language barrier can be a hassle sometimes. Indonesian is a artificial language, so it is easy to built simple sentences, without having much knowledge of the grammar. In addition there are a lot of loan words (fe. 10000 from dutch). Retro is still a major hype around the surfing world too. So it's no surprise we see more and more retro boards on the beaches, which is a nice thing. Although, surfers have always been individualists, through the last years, you could see more and more different shapes appear in the line-up and surfers can just pick the stick they love the most. No matter if it is their standard 6"0' shortboard or their 9"5' wooden balsa board from the 70's. So, big ups for the Guys from Drifter Surfshop Bali, that are hosting the 3rd annual retro single fin contest today at Tugu beach/Batu-Bolong. The world of competitive surfing, could definitely need more inspiration, because progress is always a result of creativity. The contest directors will surely care for all your needs and you can just enjoy a nice day at the beach, meet some friends and dive into the local surf community, have a piece of cake and watch the aftershow later on. Earlier this week, a first solid swell appeared at the famous spot Padang Padang, where the legendary Rip Curl Cup Invitational will hopefully take place soon. Nevertheless, neither the contest organizers, nor the surfers estimated the swell to be large or consistent enough, to run the event.